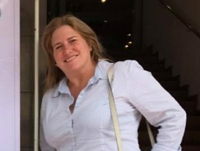 The ITF Seafarers’ Trust – the charity arm of the International Transport Workers’ Federation – has appointed leading shipping figure Kimberly Karlshoej as its new head. Ms Karlshoej was recently director and programme officer of The TK Foundation, the trust named after her father, J Torben Karlshoej, who founded the Teekay Corporation. She has also worked as a consultant to a number of maritime charities and has been an executive board member of the World Maritime University. “Shipping is a low-profile industry, and to the wider public, seafarers are practically invisible. There is a clear and pressing demand for programmes that can effectively alleviate their unique welfare needs. I am honoured by this appointment, and delighted by the opportunity to take the ITF Seafarers’ Trust’s important and ambitious work forward,” she said.